Edward is 24 years old student at Columbia University in New York. From young age he discovered love for photography and its been his hobby ever since. He is main editor & one of two co-founders of LensesPro community. John is co-founder & person with most photography experience. 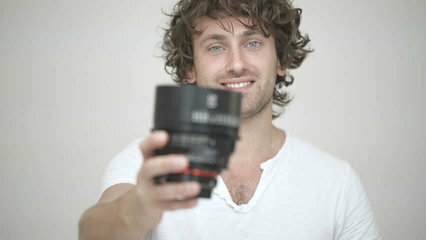 He is Professional Photographer for PhotoNow magazine, not to mention he has great knowledge & passion for camera lenses. Stacy is in charge of content development & article writing. She is more then just pretty face – thanks to her you are getting best possible content & amazing lens reviews and tutorials. 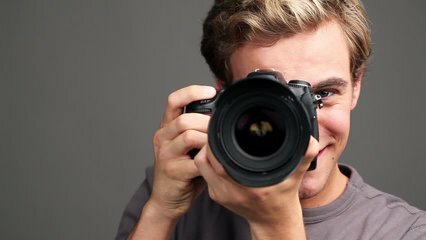 Lensespro.org is website with goal to help photographers all around the world to find, choose and buy best lenses for their favorite digital camera. Number of different kind of lenses on the market is enormous & finding right option for you can be same as finding needle in a haystack. This can specially be problem if you don’t have local lenses shop near you, because you need to test lens thoroughly to see how it compares to other lenses in the same budget. Thats where we come in! Every lens that we publish review for must first be reviewed by our team of professional photographers. Only after that, if we are personally happy with the lens we will recommend it in our reviews. Each lens you find on our site is most likely good enough, question is only what type of lens you need and what is your budget. That is reason we sometimes include more then few lenses, specially in our buying guides. Lenses are not cheap,some even cost well over thousand dollars,meaning that buying wrong lens can cost you money & time. Thats why its very important for you to research lens before you buy it. If you are not able to go to your local lens shop, you can always read our guides & reviews. Thats why we would also like to invite you to contact us if you have any additional lens question, our support team is available 24/7. Your critics & comments helps us improve our website further more, allowing our readers to have better user-experience & choose their perfect lens based on our suggestions.